Wish them well this Christmas with this sophisticated ceramic decoration. Personalise this seasonal Decoration with a name/names up to 20 characters in length. The words 'merry CHRISTMAS and a HAPPY NEW YEAR' are fixed. All personalisation is case sensitive and will appear as entered. The material of this item is ceramic. Ideal for Christmas and New Year. 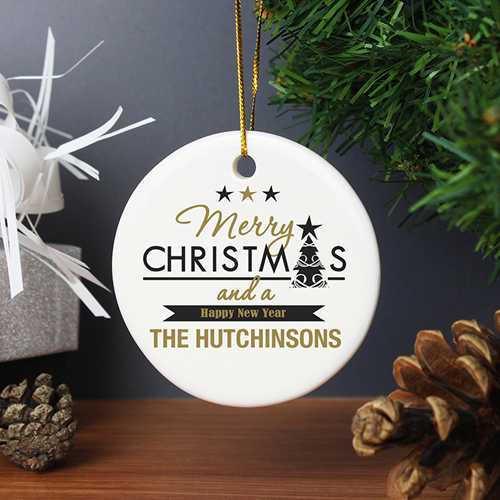 Personalise this seasonal Decoration with a name/names up to 20 characters in length.